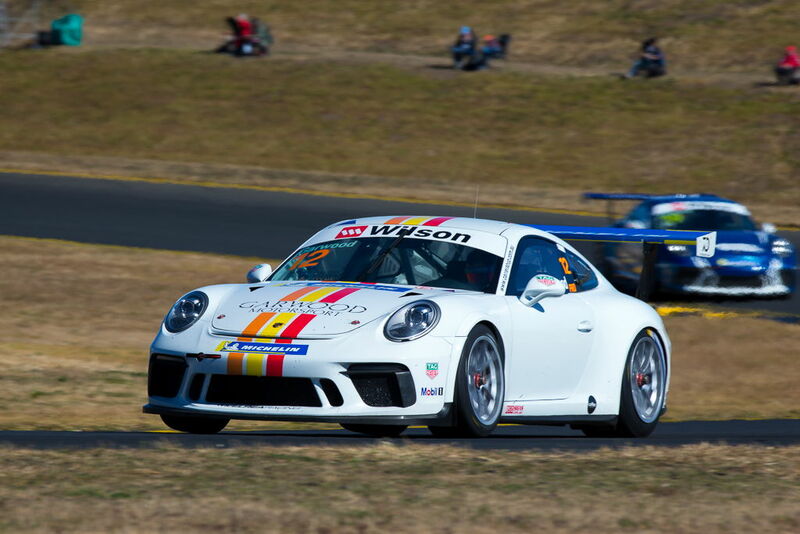 After a great run at QR last weekend we headed back to Sydney Motorsport Park (SMP) with a bit of wind in our sails. 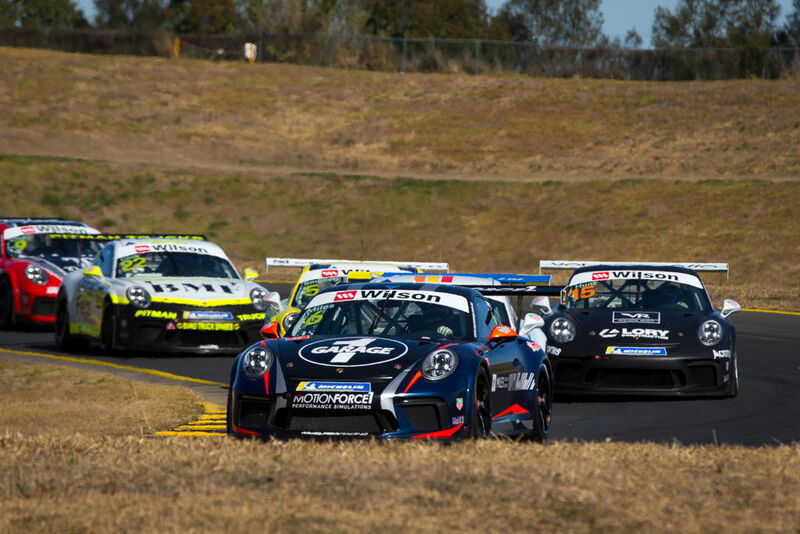 We were in for a busy weekend running four cars in the Porsche Carrera Cup and Fraser's McLaren in Australian GT. 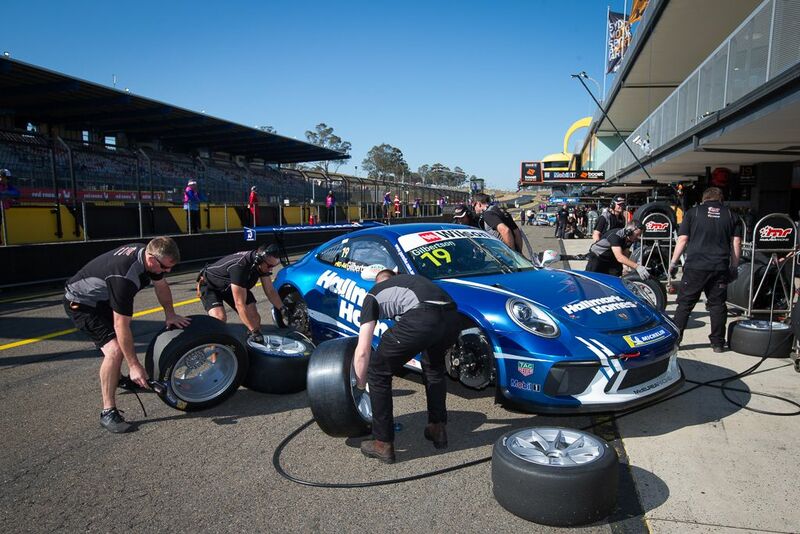 To add to the workload, because it was a 'night race' for the V8 Supercars the whole race weekend was compressed into the Friday and Saturday. 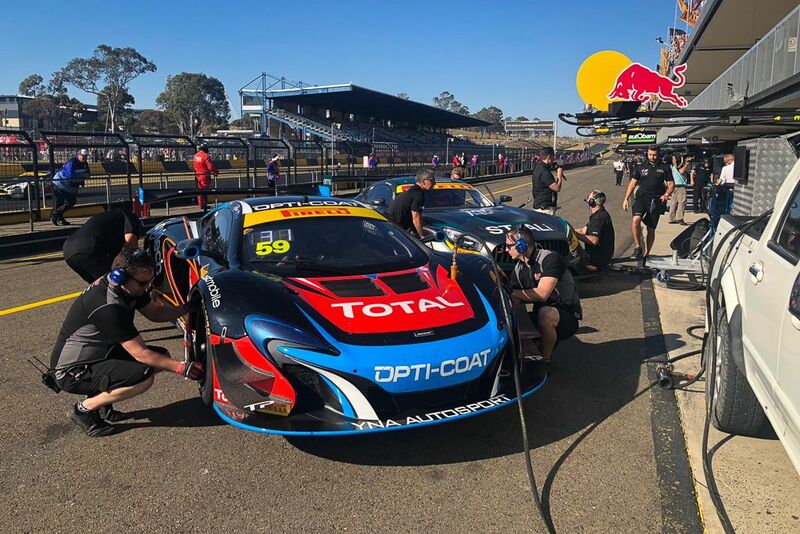 We had tested with the four Carrera Cup cars at SMP a few weeks earlier and tested the McLaren at the historic Lakeside circuit, so it felt like we had done our homework. Fraser qualified 3rd after the two AGT qualifying sessions. In race 1 he had his usual strong first lap and held off McConville in a Lamborghini until lap 7 then did his pitstop on lap 12. He came out of the pits in 6th place then pulled off a superb move to pass Emery and Dietz in one move then caught and passed Shahin for a well-deserved 3rd place. 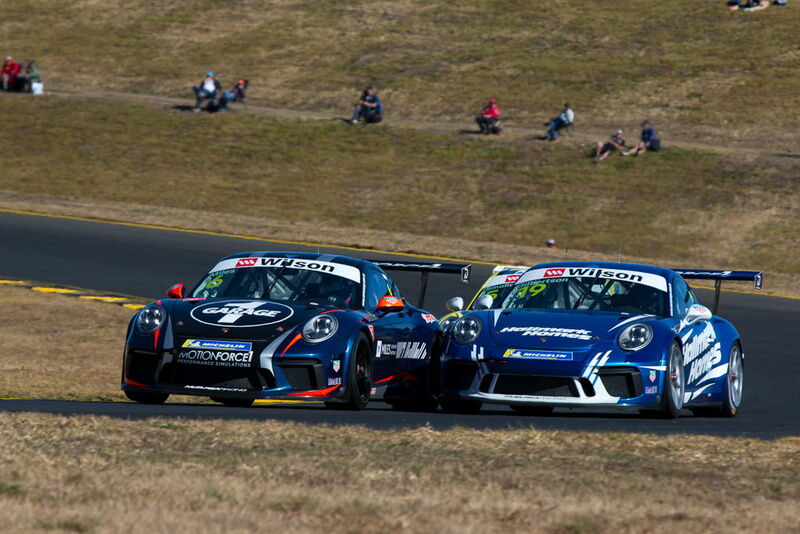 In race 2 Fraser started 3rd and the first part of the race had a good dice with the Merc of Hackett. After the pit stop cycle he came out of the pits in 3rd and was chasing down Emery for 2nd, Emery checked up and delayed his momentum letting Hackett through to 3rd. 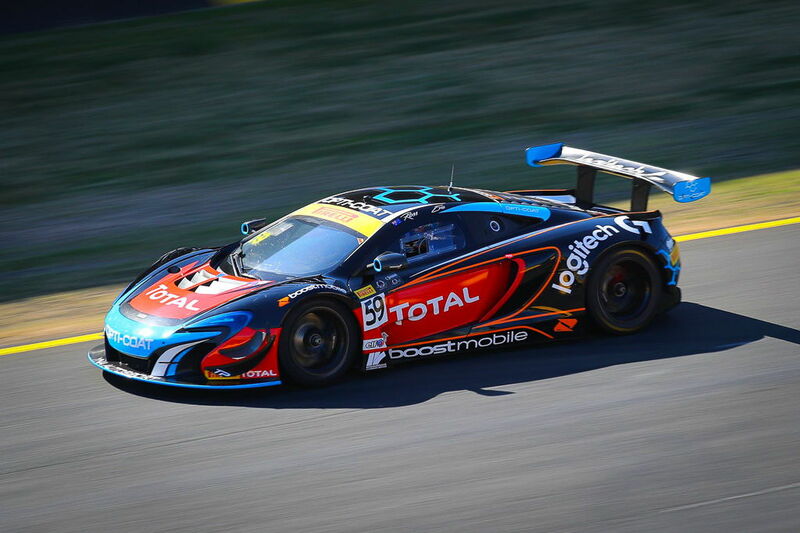 He was ready to pass Emery when an accident bought out the safety car, resulting in a slightly frustrating 4th. In race 3 Fraser started 4th and uncharacteristically dropped to 5th on lap 1. He made amends catching and passing Shahin then Emery a few laps later. After the pit stop cycle he emerged 4th but made short work of Emery and set after the two leaders. 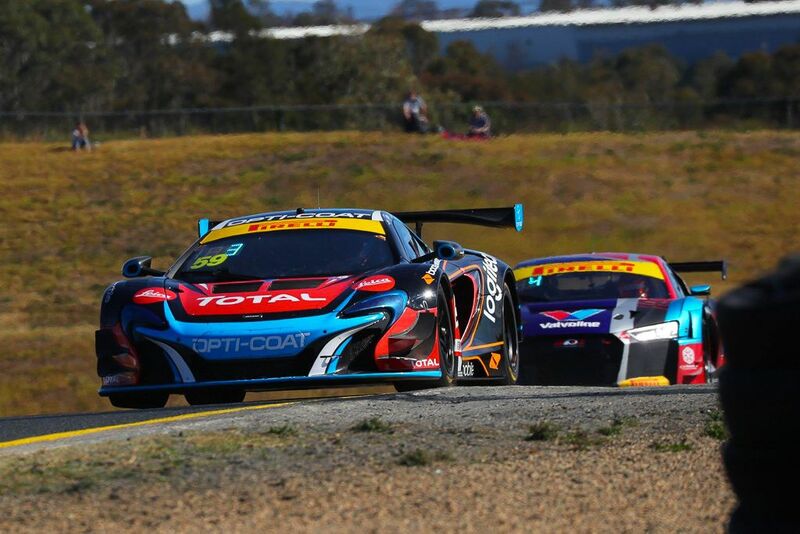 After recent testing, we were able to tune the McLaren up to over a second a lap quicker than our previous pace at SMP, but it still wasn’t enough to catch the leaders. Jaxon qualified a frustrated 6th. In race 1 he started from row 3 and had a great start making up two spots into turn 1. Over the rest of the race, he chased Wood hard while fending off the advances of Wall and was able to make a great pass on Wood on the last lap to get himself into podium contention with a hard-fought 3rd. In race 2 Jaxon had a shocker of a start dropping from 3rd on the grid to 7th. He did his best to get by McBride but also had to contend with an enthusiastic Almond behind. He ended up a disappointed 7th. In the combined Asia vs Australia race for pro divers only, Jaxon started from grid 12 and with a few setup changes battled through to a fine 5th. Although this was only Adam's second weekend with MR, the hard work was starting to pay-off and he qualified an impressive 11th in Pro Class. Adam started from grid 11 but had a bad start and dropped 4 or 5 places. He did a great job making his way through the abs-equipped Pro-Am cars to close the gap to Hunt ahead but ran out of laps to capitalise. 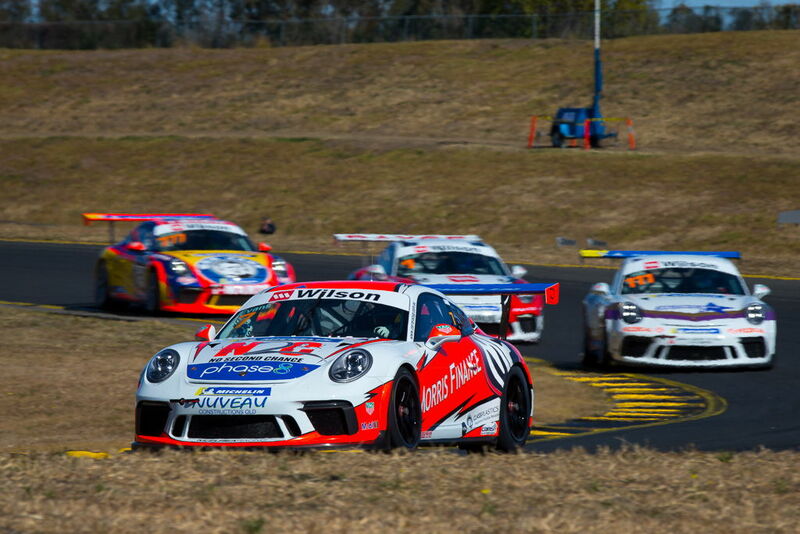 In race 2 he got a good start and was immediately amongst the top Pro-Am drivers. After a great dice with Flack, he made a great move and pulled away. The laps stuck behind Flack allowed the Pros to build a gap too large to close in the remaining laps. In the combined Asia vs Australia race, he started 21st and happy with some setup tweaks he fought through to an outstanding 13th from the 22 cars. After a tough weekend in Darwin, Anthony decided to opt for a more conservative approach to this round. As a result, he qualified an excellent 3rd in Pro-Am. 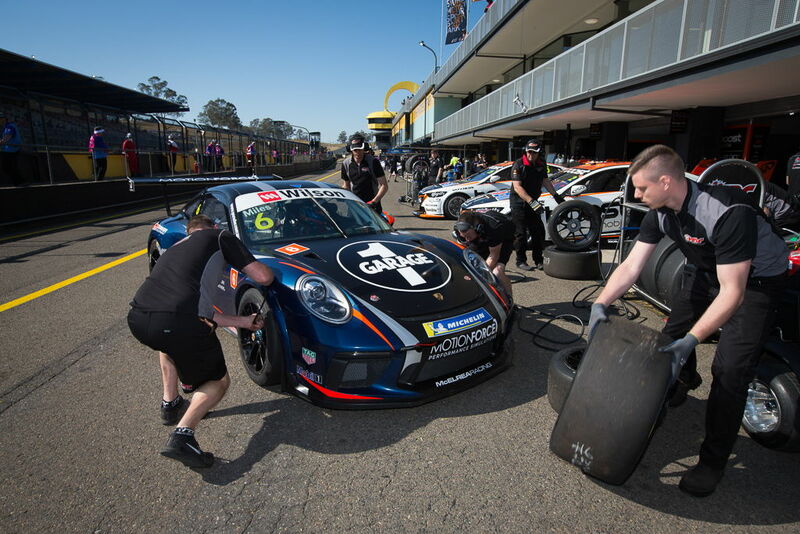 Gilbo had a quiet start to the first race which looked after his tyres while he circulated in 6th. His patience was rewarded in the last few laps when he made 2 spots to finish 4th. 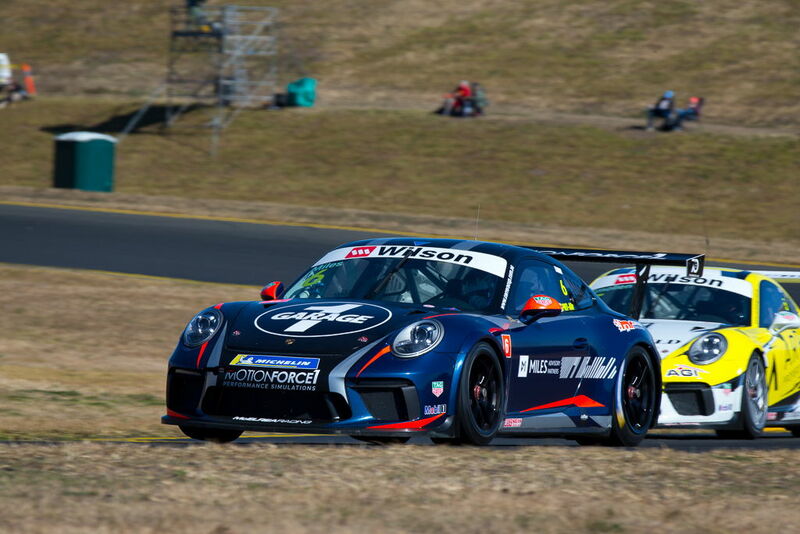 Gilbo got a good start in race 2 and again took a nice measured approach and was once again rewarded finding plenty of pace in the second half of the race. 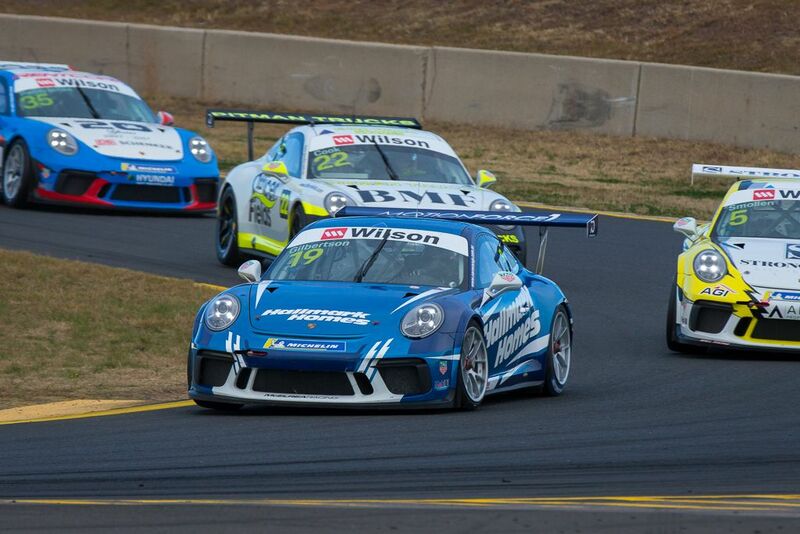 He was able to climb from 6th to 3rd and finished 3rd for the weekend for his first podium in Carrera Cup. A great reward after a rough first half of the season. 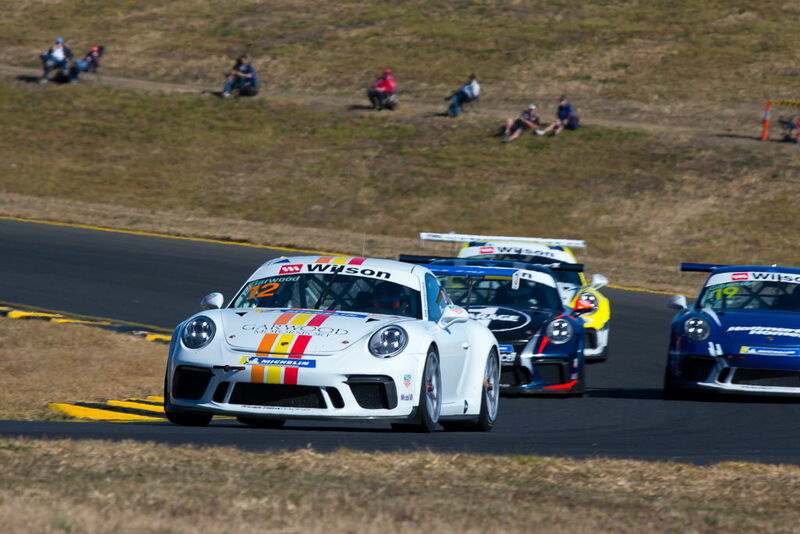 In the combined Asia vs Australia Pro-Am race Anthony started 6th and fought his way through to finish 4th. 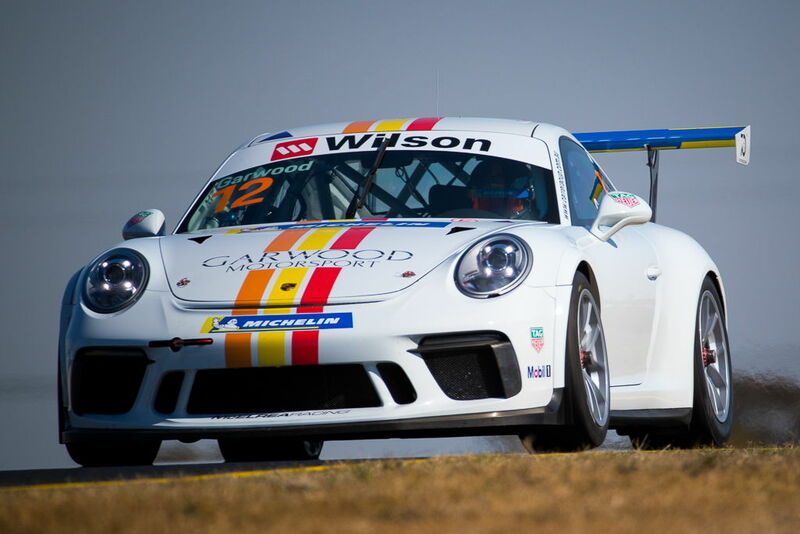 Like his Pro teammate Jaxon, Tim qualified 6th in Pro-Am and started race 1 from grid 19. We made some adjustments to Tim's car to tidy up the handling but it didn't have the desired effect. He made a few places during some epic dices but later dropped a spot to finish 5th in Pro-Am. Tim had a ripper start and 'cold tyre' first lap then soon found himself in a frantic battle with Lago and teammate Gilbo. After a minor downshift issue he ran slightly wide into turn 2 which cost him a place. Despite that, he was still able to come home in 4th. 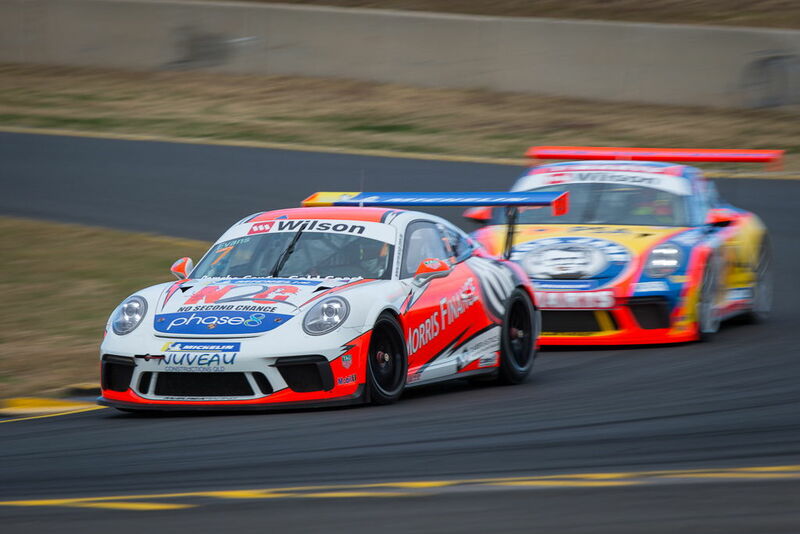 In the combined Asia vs Australia Pro-Am race Tim started 11th and finished 8th. 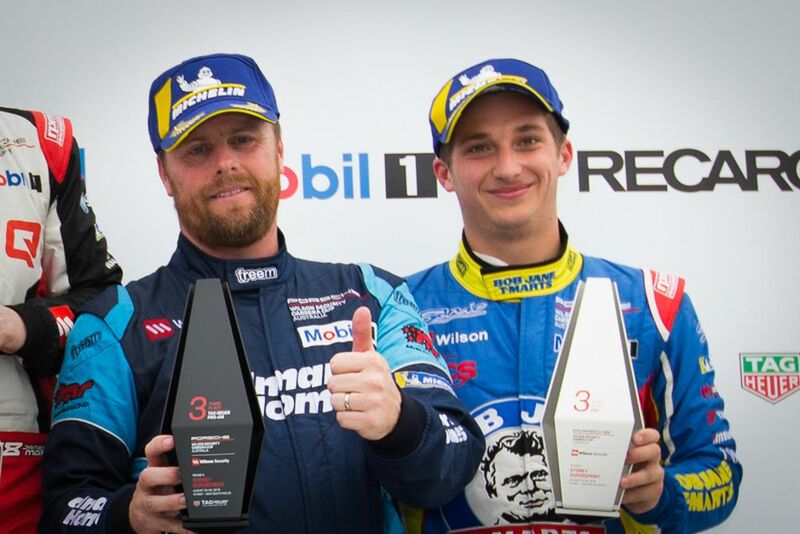 It was terrific that Fraser and Gilbo won trophies, for 3rd in AGT and Carrera Cup Pro-Am respectively. 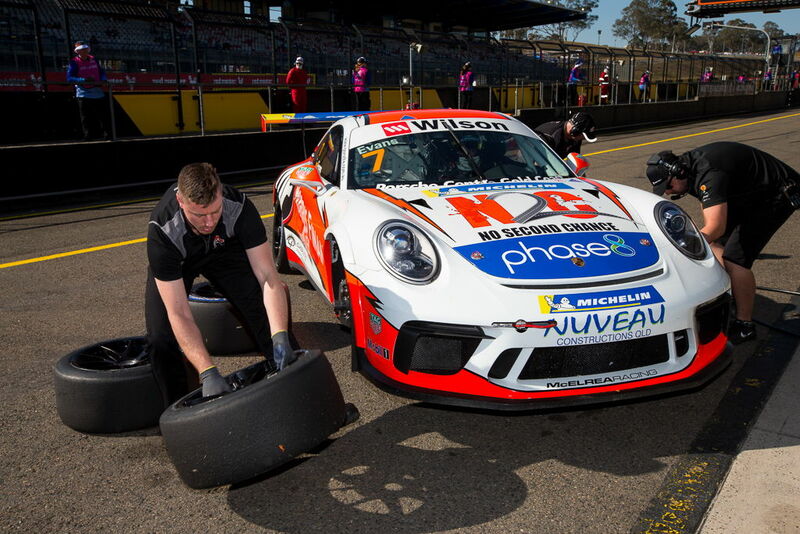 Although Jaxon had a disappointing weekend struggling to nail the optimum set-up for his Porsche GT3, he still leads the Carrera Cup championship. 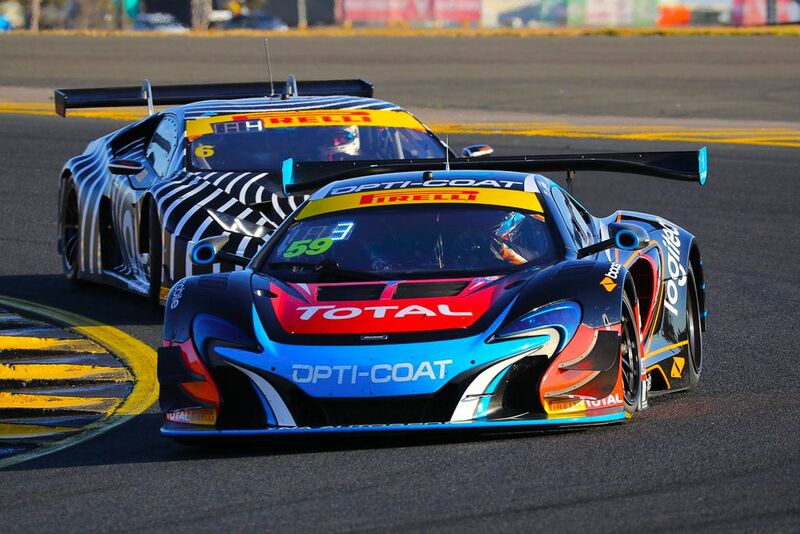 By way of Frasers successful weekend, he is now leading the Australian GT championship with one round to go in New Zealand in October. 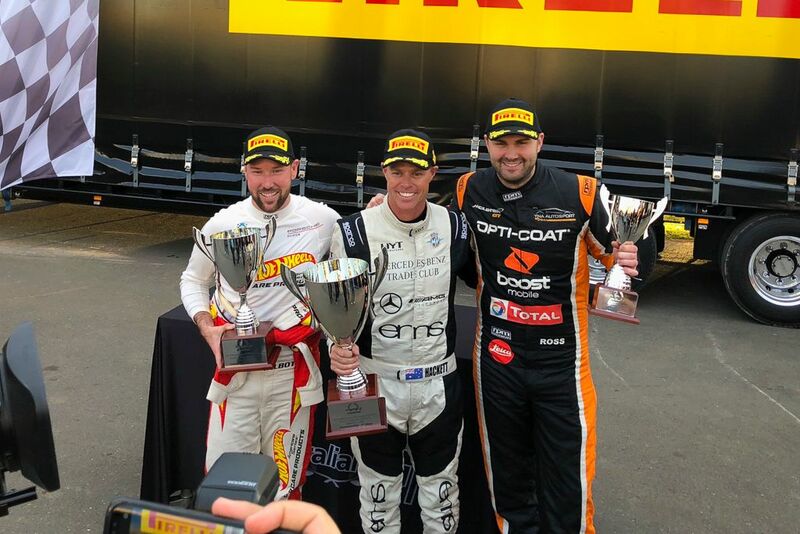 Tim would have preferred to join teammate Gilbo on the podium, but still enjoyed his weekend, a highlight was passing three cars in the combined Asia vs Australia Pro-Am race. Although he's not as close to the front as he wants, Adam had a greatly improved weekend and we are confident he will be racing in the top 6 soon. 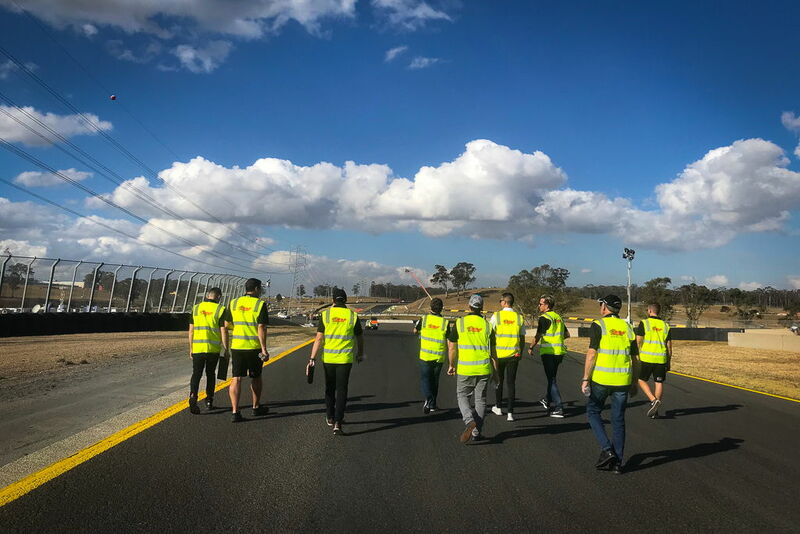 Many thanks to all of our drivers' sponsors and their families for their support and the boys and girls from MR for their dedication and young Nick and Blake for helping over the weekend.